Adherents—and other words I don’t understand! I received yet another email this past week pointing out the mounting statistics that show church attendance continues to slip. This particular email pointed out that more than 65% of people in my home county claim an affinity to “the church” (adherents), that 46% of those interviewed claim membership to a particular church but less than 20% actually go to church. As I pondered those numbers three questions came to mind. What have we “the church” done to drive people away? What has the world done to draw people away? What do we do to overcome points one and two above in order to welcome people back? While I don’t want to over simplify the issue, it seems the gap continues to grow between those who understand “church” and those who don’t. It is becoming more complicated all the time; we “the church” have developed our own language, social norms, and even dress code for almost every different church in town. In fact it took me a while to understand the email I received, as I had to look up the term “adherents”. I can only imagine how off putting it must seem to someone who has no knowledge or association with what “the church” is or is supposed to be. And, for the record, that now amounts to more than half the country if the statistics are correct. It seems to me we need to make “the church” more accessible. When did it become important for religion to become complicated? My Bible clearly shows that Jesus spoke plain language and a good bit of his talking was done with folks who did not have a grasp on what the “the church” was all about. Perhaps a simpler approach is in order. 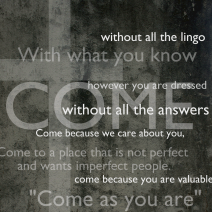 “Come as you are”—With what you know, how you are dressed, without all the answers, without all the lingo. Come because we care about you, come learn about the One who created you and loves you, come because you are valuable, come because you are going to be met just where you are–and helped to take the next step. Come to a place that is not perfect and wants imperfect people. Come! I shared these thoughts with a friend of mine. Bob knows a lot about the church, about Jesus, and thankfully, a lot about me. He has attended seminary, preached a lot and has written forty or fifty some publications regarding Jesus and his teachings. His message back confirmed my thoughts-but he also says so much more. David, what you described is The Gospel. It’s The Message about Jesus. He’s The Sent One who dwelt among us and was full of grace and truth. When we neglect teaching EVERYTHING He commanded, we neglect Him and His Message, and we end up corrupting His Message. People do this, at least initially, without intentionally meaning to. We make it about conforming to OUR image and OUR likeness, or, as Paul said, we hold on to “a righteousness of our OWN that’s derived from The Law.” It’s a poor likeness, but close enough to trick immature or unadvised people. But instead of glorifying God, it insults and demeans His Name. Just as I expected he would, Bob spoke right to my heart. 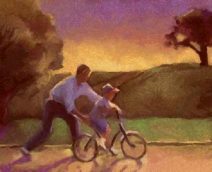 Powerful words, words to remind me and to help center me…words of encouragement, and words admonishing me to continue the good work placed before me. And maybe they are words of encouragement for you too. It is interesting to me how we learn about our world and how people behave. What we learn certainly affects what we believe and how we act! The truth is we believe what we have been taught and we cannot change the way we act until we change what we believe. My friend Jack Larson reminds me that if we have a proper understanding of our self, our purpose and our world that we can achieve far more than we can even imagine. God has put in all of us a sense, an inward feeling, that we were created for something better, greater and grander than we now experience. He has “set eternity in the hearts of all men.” (Ecclesiastes 3:11) We sense this because it is true. We were created for something better. God created us in His image (Genesis 1:26,27), and created us a little lower than Himself and crowned us with glory and honor (Psalm 8:5). But we also know that our lives fall short of this glory and honor, and we long for something better. Of course, we will experience the completion of what we were created to be only in eternity. But we can also receive more fulfillment in this life. Jesus calls this fulfilled life, the abundant life (John 10:10). To experience this fuller, better life we must become disciples of Christ. We must set our hearts to follow Him fully and to put off the things that trap and entangle us in this world. Emotional problems cause us to believe things about ourselves that are just not true. The key to moving past those “hindrances” is to first learn more about where and how they originate. The truth is, not all people leave, and we are not in the world all alone. However, until my new friend learns the truth he will always react from a position of abandonment. Learning from, and moving beyond, our past is something we can all benefit from. I am working on my issues! I invite you to begin as well. “Run Forest Run”- That often seems the best advice on how many managers, parents and friends manage conflict. But is avoiding conflict really the best way to manage it? When we avoid or run from conflict rarely do we see it go away. Sure it might go away for a while, but all to often, it rears it’s ugly head again and often, while at rest, the beast grows even larger! A wise supervisor once told me if we all thought the exact same thing that the company would only need one of us. Each of us brings a unique point of view, skill set and perspective to any situation. That is what makes us valuable and it is also what is the root of conflict-differences. The issue is not whether we have differing points of view but rather how we manage our emotions and ego through the process. This makes sense at a core level, however managing, and profiting from conflict is not so easy to do! The key in handling conflict is to be prepared before you enter the fray. 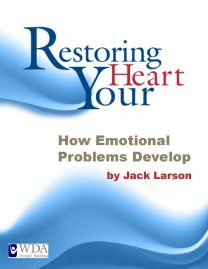 There are lots of books on the subject, anger management classes and web sites devoted to the topic. How do you choose? Well if you believe in God, it might be a good idea to understand how the creator of the universe, the One who invented emotions, the Alpha and Omega of human development and understanding designed a process for us to be both unique and to live together in peace. Worldwide Discipleship Association, Inc has discovered nine key Biblical principles, drawn from scripture, which provide key understandings and methods for resolving conflict. For example have you read about how Paul taught the Philippians to work at developing agreement, not just being agreeable? Or how we can receive correction without it damaging our self-image? These and other key methods are covered in “Developing Healthy Relationships” one of several key leadership skill trainings found at disciplebuilding.org. My mother used to tell my brother and sister and I to “fight nice”! As I continue to study and grow I find that conflict is not to be avoided. Wade right in. Learn something in the process but understand that it is a process and equip yourself how to do it well.